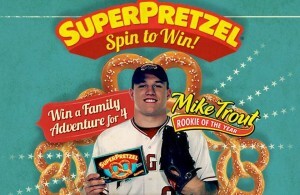 Click here to visit the SuperPretzel facebook and like them. Then on the “Spin To Win!” tab, enter your email and register. Finally play their instant win game to see if you’re a winner. You can play daily through November 16th. Good luck!